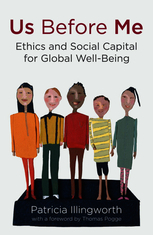 “Foreword” to Patricia Illingworth: Us Before Me: Ethics and Social Capital for Global Well-Being (Houndmills: Palgrave Macmillan 2012), pp. ix-xvii. Twenty-seven philosophy questions from the public answered in Alexander George, ed. : What Should I Do? 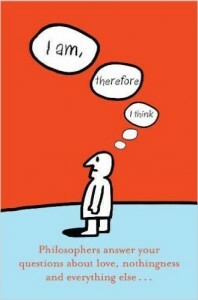 : Philosophers on the Good, the Bad, and the Puzzling (Oxford: Oxford University Press 2011). “Morality: What Do We Share — and Who are We Anyway?” forthcoming in book about Bernard Gert (201#). “Timeless Wisdom or Moral Arrogance?” (review of Bernard Gert’s Common Morality) Australian Journal of Professional and Applied Ethics 7/1 (June 2005), 60–64. Abstract: In his Tanner Lectures (What We Could Rationally Will), Derek Parfit discusses a dazzling array of candidate formulas meant to classify act tokens as either right or wrong. After pointing out that Parfit fails properly to address the individuation of act tokens, I outline four distinct approaches to his project. These classify act tokens on the basis of a subsidiary criterion that applies to (1) the descriptions under which the agent is intentionally acting; (2) the maxims on which agents might perform this act; (3) intermediate moral principles permitting or forbidding this act; (4) moral codes permitting or forbidding this act. Parfit’s discussion does not sufficiently attend to the differences among these four approaches. In particular, he fails to appreciate the character of Kant’s view (exemplifying 2) and the peculiar attractiveness of approach 4, which would allow for reasonable disagreement among agents who are, permissibly, committed to diverse moral codes. Parfit also fails to attend to the range such a formula might have – applying, at one extreme, to all acts by all agents at all times in all possible worlds, or merely perhaps to the acts of human beings living under a just legal order in a world whose agents are all morally compliant. Abstract: This critical discussion of What We Owe to Each Other (Harvard 1999) argues that Tim Scanlon’s contractualist account fails philosophically in that the unity it appears to reveal in morality crucially depends on substantive assumptions imported ad hoc into the contractualist framework. It also shows that Scanlon’s substantive moral position fails practically: It would not coordinate the conduct of its adherents. Nor does it give them effective guidance for how they should act in, and seek to reform the practices of, our actual social world, where many established practices are not least rejectable and where many agents are committed to moral world views at variance with Scanlon’s contractualism. Abstract: This essay relates the struggle to eradicate world hunger to the battle over abortion. I begin the argument with a critique of Dworkin’s defense of the legality of abortion, arguing that his reasoning fails to show that most on the pro-life side of the abortion debate cannot really be believing what they think and say they believe, namely that a human fetus has a right to life and that abortion is murder. I then explore, in opposition to Dworkin, another way of bridging the gap: by showing those on each side that there are reasons within their moral outlook to spend their time and resources not on the abortion battle but on the fight against world hunger, in which both sides could work together. There are compelling reasons to make this shift: Eradicating world hunger is at least equally important and its moral urgency is less contested and hence less doubtful. In the fight over whether and to what extent abortions should be legal, great expenditures of effort are merely neutralizing each other. Fighting world hunger is much less wasteful, and less costly for civil harmony and for the standing of morality in our culture. Various counterarguments — invoking considerations of cost-effectiveness, or the distinctions between doing and letting happen or between compatriots and foreigners — can be refuted. Comment on Jon Elster: “The Irrationality of Addiction — And Does It Matter?” in Pablo De Greiff, ed. : Drugs and the Limits of Liberalism (Ithaca: Cornell University Press 1999), 46–58. Symposium Contribution: “Take and Give — A Review of Peter Unger: Living High and Letting Die” in Philosophy and Phenomenological Research 59/1 (March 1999), 189–194. Abstract: In Living High and Letting Die, Peter Unger supports his main claim, that it is seriously wrong not to use one’s nonessential wealth to prevent premature deaths, through a “principle of ethical integrity”: If one may impose significant losses on others to save lives, then one ought to impose equal or lesser losses on oneself for the same purpose. Read impersonally, this principle implausibly derives an ought from a may. It is better read ad hominem: If you do in fact, or are disposed to, impose losses on others to save lives and take this to be permissible, …. But this version supports Unger’s main claim only for those who satisfy the antecedent and thus may win it few new adherents. Review Article “O’Neill on Rights and Duties” in Grazer Philosophische Studien 43 (1992), 233–247. Abstract: This essay argues against Onora O’Neill’s claims that the language of (human) rights is not well suited to formulating moral concerns in the political realm and should be replaced by the language of duties. The essay shows that O’Neill is right to stress the importance of complementing any assertion of rights with an account of responsibilities or correlative duties. But she is wrong to claim that there are important moral concerns that can be expressed in the language of duties but not in the language of rights. Properly understood, the two idioms are coextensive. This does not mean, however, that one of the two idioms is dispensable: The language of rights is more suitable to remind us of the point of morality while the language of duties does better at focusing our attention on what is to be done. Abstract: A morality may give its own ideal adherents incentives to promote outcomes that — by the lights of this morality itself — are on the whole regrettable. Consider, for instance, a morality according to which some harmful policies, which it would be wrong to execute on one’s own, can be implemented, without any wrongdoing, by a dedicated agent or representative. Such a morality provides incentives to hire such agents in order to circumvent important moral protections. Similarly, some moralities allow the basic requirements of economic justice to be reduced by the interposition of national borders and thus encourage the creation of national borders for the sake of “just-ifying” dramatic inequalities (witness the “homeland” created in the old South Africa). The essay discusses why moralities containing such a loophole are problematic and how they can be modified so as to resolve the problem. This discussion supports a surprisingly strong structural constraint on acceptable moralities. “Coercion and Violence” in James B. Brady and Newton Garver, eds. : Justice, Law, and Violence (Philadelphia: Temple University Press 1991), 65–69. “The Abortion Battle and World Hunger” in Journal of Social Philosophy 22/2 (Fall 1991), 14–27. Abstract: This essay discusses how a morality may be sensitive to actual social realities and, specifically, to its own actual effects: What if one’s morality has effects that are, from its own point of view, counterproductive? What if the task of morality, as our own morality conceives it, would be better fulfilled by a revised version of this morality? Five answers to this problem are discussed. I argue against the two dominant answers: rigidity (no reason to make any revision) and elitism (we have reason to reconsider which morality ought to be believed, but no reason to reconsider which morality is true); and I defend the plausibility, in certain contexts, of the pragmatic answer (we may have reason to revise our morality “all the way down”). “Moral Incentives” in Ota Weinberger, Peter Koller, and Alfred Schramm, eds. : Philosophie des Rechts, der Politik und der Gesellschaft: Akten des 12. Internationalen Wittgenstein Symposiums, 7. bis 14. August 1987, Kirchberg am Wechsel, Österreich: ausgewählte Beiträge (Vienna: Hölder-Pichler-Tempsky 1988), 142–151.